Francesco Gobetti (1675–1723) was born in Udine and moved with his family to Venice in the 1690s. He was a ‘calagher’ or shoe maker but had turned to violin making by at least 1710. Although we do not know where he learned the craft, his output is stylistically connected to that of Matteo Goffriller. His surviving instruments are rare, with only about 20 violins and no violas or cellos known to exist. Gobetti’s best work is quite refined and typically follows the early models of Stradivari. 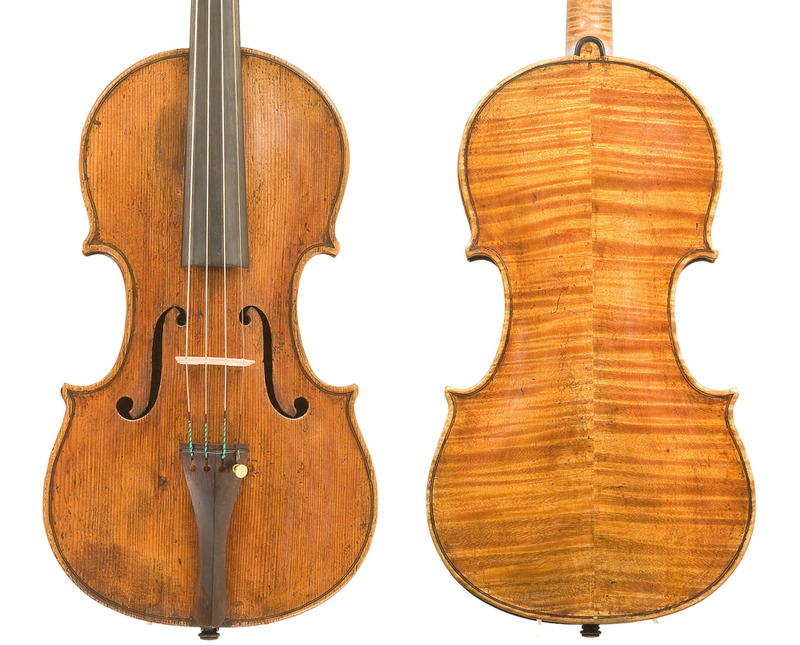 These violins can be ranked among the finest Venetian work of this classic period. A few Gobetti instruments are patterned after a Germanic violin, which also served as a model for a number of instruments by his Venetian contemporaries Carlo Tononi and Domenico Montagnana. This violin, which is inspired by Stradivari, possesses the fine tone for which Gobetti violins are prized. It has an elegant medium–high arch and its handsome, deeply flamed maple is typical of his work from the period around 1720. The soundholes are made in the Venetian style and are quite graceful, with tapered lower wings.